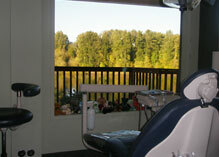 Welcome to Riverfront Dental LLC, where a scenic view of the Willamette River welcomes you to a positive dental experience that will surpass all of your expectations. 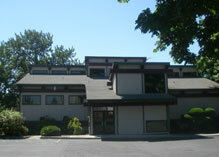 Located in Salem, Oregon, we are a family-oriented dental practice that provides excellent dentistry in a relaxing environment. From general dental treatments to protect your smile and repair tooth decay to cosmetic transformations that help you achieve the smile of your dreams, we work hard to provide the services you need. Your comfort and smile are at the heart of what our dental team strives to offer, combining friendly service with the highest standards of dentistry. Led by Dr. Scott Howe, our dental team is passionate about dentistry and has years of training and experience in multiple dental fields. Our skilled dentists will listen carefully to your questions and address your concerns, while making every effort to help you understand what our dental treatments are like and why we are suggesting them. Our dental team also utilizes advanced technology, such as intraoral cameras and TV monitors above each dental chair, for an enhanced experience. For over 30 years, our friendly dentists and dental team at Riverfront Dental LLC have served Salem, Oregon and the surrounding areas of Keizer, West Salem, and Four Corners, Oregon. To learn more about our dental treatments, please contact our dental office today. We look forward to caring for your family’s smiles!